This a special pie sometimes referred to as the Ohio pie and that is where I originally found the recipe when I was in graduate school at The Ohio State University. I read that it was originally made by the Shaker women who didn’t want to waste any food so they used the whole lemons in their pies. The main ingredient is Meyer lemons and they aren’t the common ones found in the grocery store. 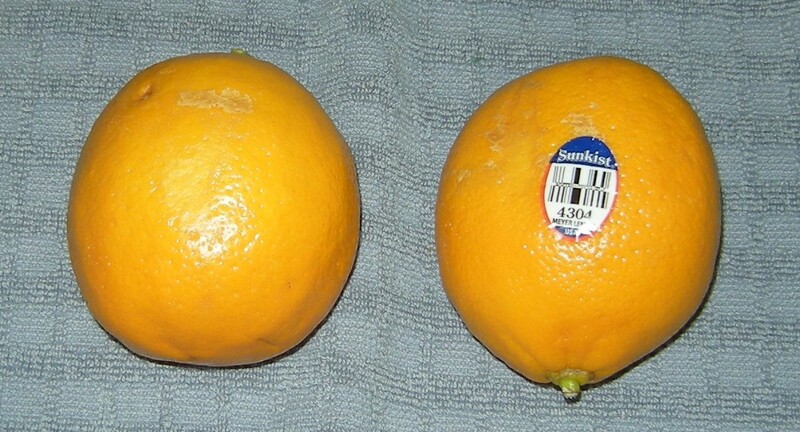 They are shown at the right and are a little smaller, rounder, a more golden yellow, have a bit milder sweeter flavor and a thinner skin than those the groceries usually carry. They tend to be seasonal and can be difficult to find. After asking around we were told that stores here do get them, but none had any. For this pie we were lucky that my husband’s brother who lives in Florida was able to find them and mail them to us. Also it is good that only 2 or 3 are needed. Interestingly using the whole lemon in this pie doesn’t give it a bitter taste and the recipe is pretty simple. Wash the lemons and then slice them as thin as possible. I used a mandolyn set on its thinnest setting. Be sure to pick out all the seeds. Once the lemons are sliced stir in two cups of sugar trying not to tear up the slices. Let them sit for at least 2 hours. (If overnight refrigerate them and bring them to room temperature before using.) Prepare pie crust bottom and set aside. Beat the four eggs and mix in to the lemon sugar mixture. Put top crust on, seal edges and cut vent holes in top. Bake in oven at 450 degrees F for 15 minutes. Then lower temperature to 350 degrees F and bake another 30 minutes. 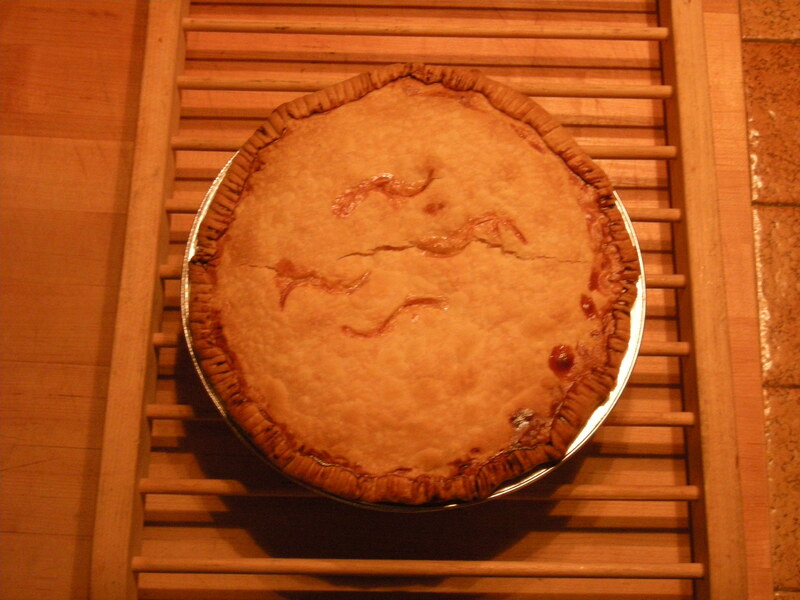 Pie is done when a knife inserted in center comes out clean.